Sonamoo is a South Korea girl group under TS Entertainment. 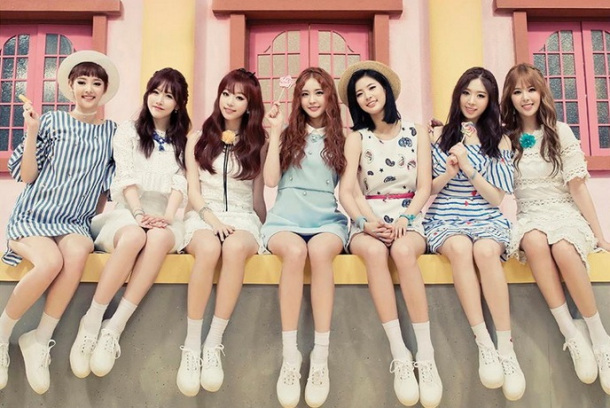 The group consists of 7 members and debut in 2015 ago. 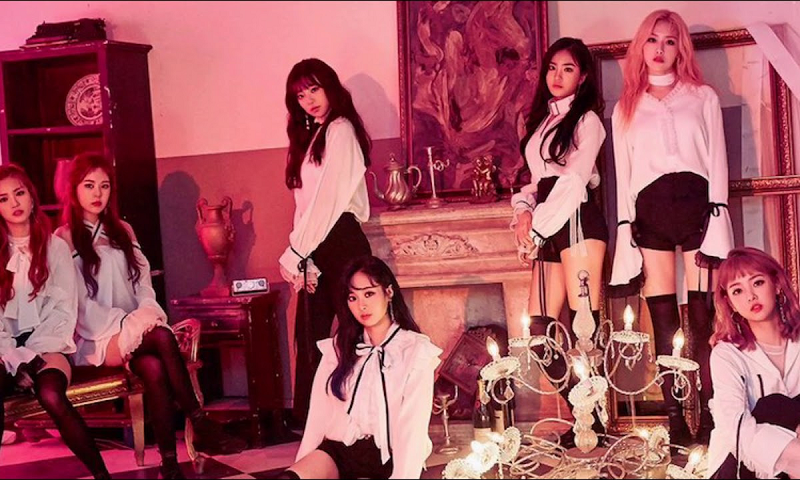 Sonamoo’s debut song is Deja Vu with strong and hip hop concept, but recently they come back with a more girly and bright concept. Stay tune if you want to know about Sonamoo! – Her nickname is Olaf. – Her favorite colors are mint and indigo. – She enjoys hanging around Seoul and visiting well-known restaurants. – She starred in B.A.P’s “Stop It”. – Minjae appeared on the reality show Girl Spirit. – Minjae’s ideal type is Seo Inguk. – Her favorite colors are white and pink. – Her nicknames are Frog, Fish, and Puppy. – Her favorite artists are Uhm Jung Hwa and Beyonce. – She enjoys cooking and watching movies. – She starred in B.A.P’s “Never Give Up”, “Stop It”, and “1004 (Angel)”. – She is the host for the kids variety show Squishy Squashy with Doh. – Sumin’s ideal type is BigBang’s TOP. – Her nicknames are Black Bean, Ppaojeu, and Wet Dumpling. – Her favorite color is aqua blue. – Her favorite artists are Wiz Khalifa, San E, and Lee Hyori. – She enjoys watching movies and bus trips while listening to music. – D.ana is friends with Red Velvet’s Seulgi. – She starred in B.A.P’s “Never Give Up”. – D.ana and New Sun had supporting roles in the drama The Miracle (2016). – D.ana was alongside 6 other female idols on the Idol Drama Operation Team TV program. They created a 7-member girl group called Girls Next Door , which debuted on July 14, 2017. – D.ana’s ideal type is someone who has a nice smile and a low voice. – Her nicknames are Na-zzang, Na-long, and Jjang-gu. – Her favorite colors are baby pink and black. – Her favorite artist is Lady Gaga. – She enjoys doing yoga and working out. 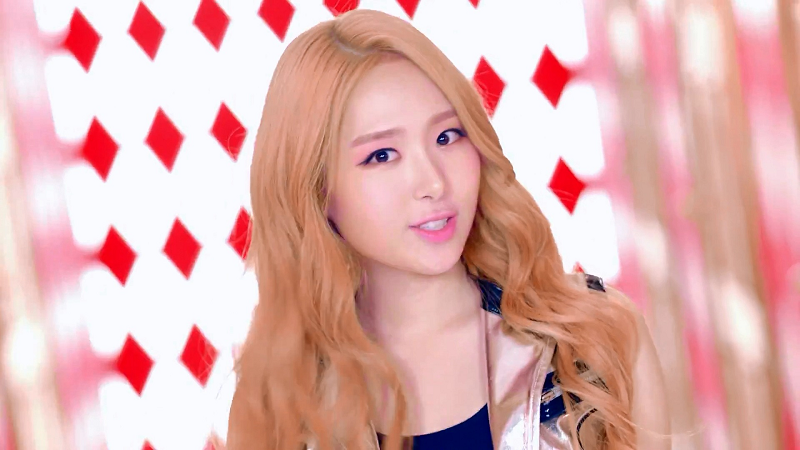 – She starred in SECRET’s “I Do I Do” and B.A.P’s “1004 (Angel)”. – Nahyun played the main role on the web drama The Miracle. – Nahyun’s ideal type is someone who has a good voice. – Her nicknames are Chair, Jini, Bird, and White Baby. – Her favorite colors are white, blue, and black. – Her favorite artists are Ivy and Rihanna. – She enjoys watching Japanese dramas, movies, and animations, listening to calm songs, collecting socks, and taking pictures. – Euijin wants to try stage management. – She starred in B.A.P’s “Never Give Up” and “Stop It”. – Euijin was a participant on the survival show The Unit. – She ended in first place on The Unit, and she is going to debut in UNI.T. – Euijin’s ideal type is a person who smiles prettily and has a good voice. – Her nicknames are Ttochi, Hobbang-man, and Hamster. – Her favorite artist is Jessie J. – She enjoys listening to music and watching movies. – High.D knows how to play the piano. – High.D’s ideal type is someone with a cute smile. – Her nickname is Giant Baby. – Her hobbies are recording, watching movies alone, and shopping. – Her favorite artists are Tyler the Creator and Tyga. – New Sun had supporting roles in the dramas The Miracle (2016) and Criminal Minds (2017). – Newsun’s ideal type is “a man that is compatible with my music.” Then, she mentioned Block B’s Zico. Their fandom name is Solbangul (솔방울), which means Pine Cone. Sonamoo’s first overseas performance was in Japan on March 15, 2015. They released their second mini-album titled Cushion on July 20, 2015. Sonamoo literally translates to ‘pine’ or ‘pine tree’. Sonamoo consisted of 7 members, who we will meet later. They are signed under TS Entertainment and are often referred to as ‘B.A.P’s little sisters’. They debuted on December 29, 2014, with the single “Déjà Vu”.